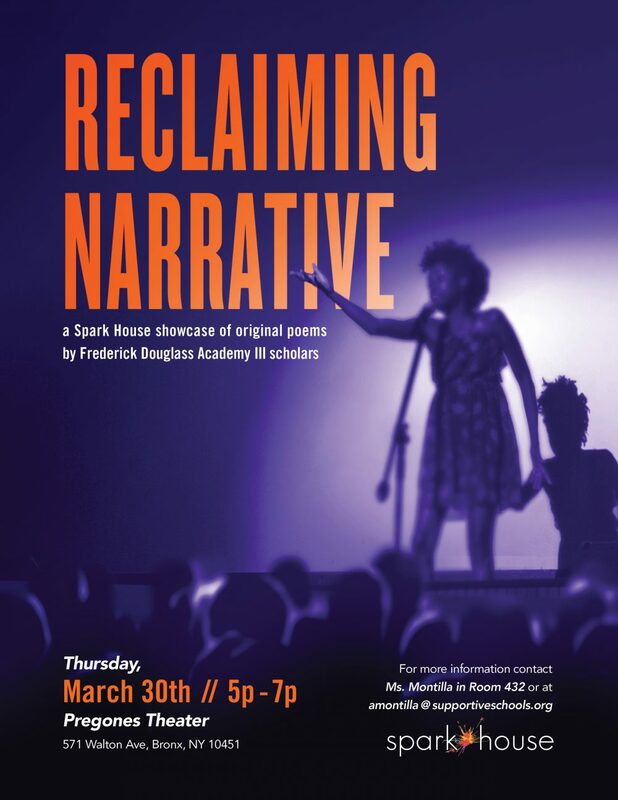 Spark House presents Reclaiming Narrative: an evening of poetry and performance by Frederick Douglass Academy III scholars that examines the depth, complexity, and beauty of the personal story. For weeks, scholars have been introduced to and investigated historic and contemporary poets and poems that look and sound like them. And on Thursday, March 30th they’re entering the conversation by bringing their stories to you! Join us in celebrating their voices–voices of Bronx youth–on what promises to be an evening you won’t forget. To RSVP for the Culminating Event, please click here!